NEW - 7.5"/25cm. 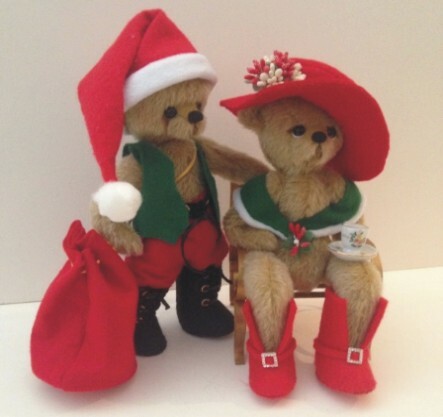 This festive couple are ready for Christmas. Made from Mohair/Viscose blend. Kit includes Pattern, Fabric, Joints, Eyes, Nose, Paw Pad fabric, Felt for clothing, Laces and Buckles. 1/4m of Fabric makes both bears.